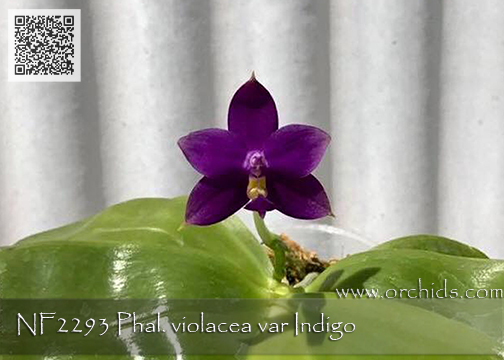 Without question, this newest sibbing using two select strains of the Indigo form of Phal. 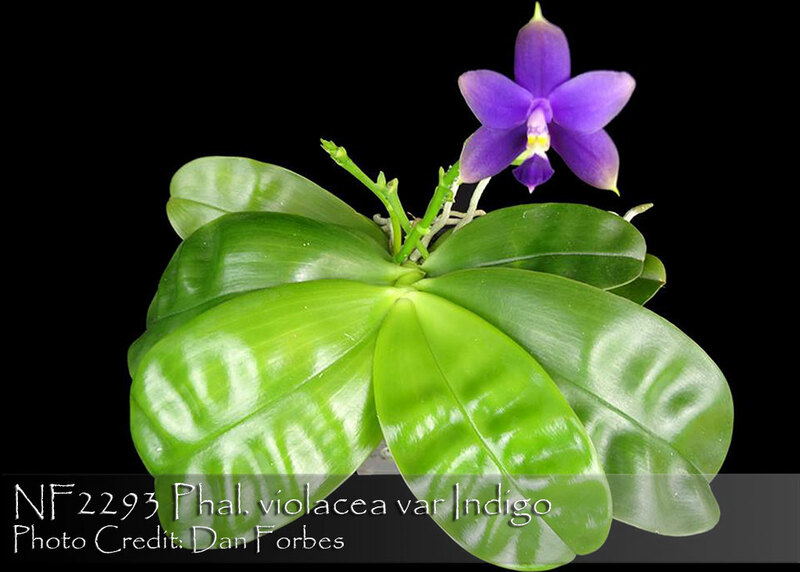 violacea is a MUST HAVE ! 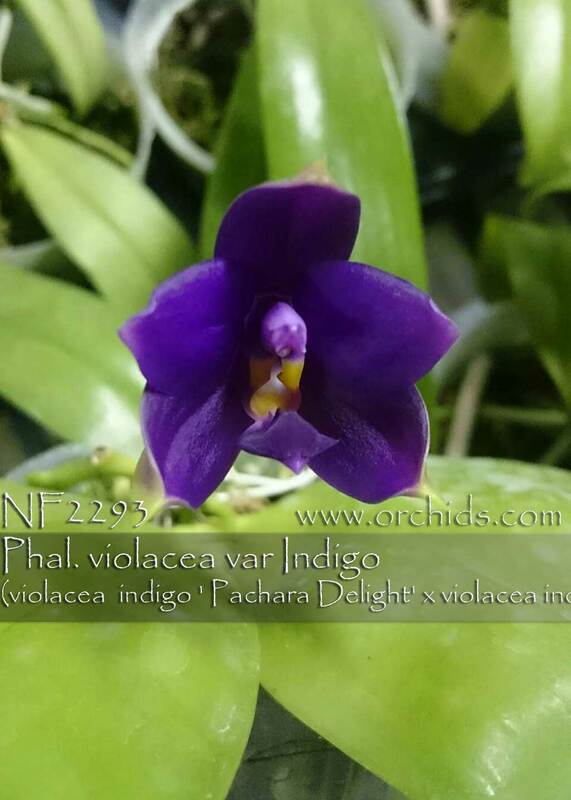 This F2 generation is the result of careful selection of its parents for their increased vigor and robust root systems, building on HP Norton’s original strain of Indigo violaceas. Beautiful richly colored fragrant flowers are produced over compact round leaves. Like all Phal. violaceas, if the flower spike remains green, do not remove it since it will continue to add buds at its next flowering in addition to creating an additional spike or two. Very Highly Recommended and Limited !